Millions of commuters to and from London on the Chiswick flyover from Heathrow and all points west will be familiar with the animated neon advertisment for Lucozade. Whoever owns Lucozade nowadays has pulled it down and replaced it with a nonedescript static sign, not just for Lucozade, but also – at time of writing – Mercedes. 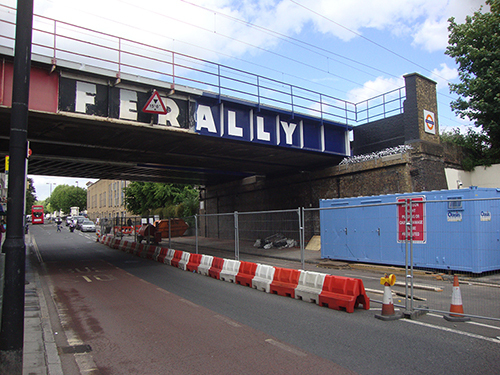 The old sign was at least the second of its type on the site at the crossroads of the Great West Road and Ealing Road. 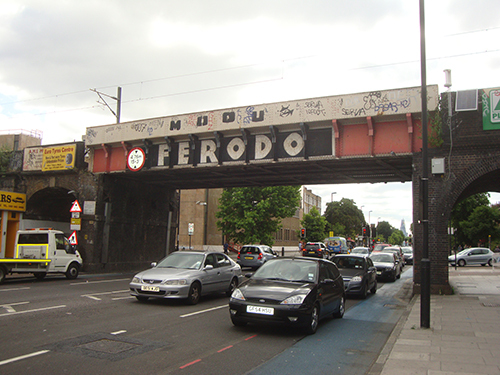 Like Lucozade itself – orginally a Beecham product – the sign was very much part of the Brentford streetscape. In the age of corporate takeovers, Lucozade found itself in the portfolio of Glaxo Smithkline, who had swallowed up Beecham as part of the Smithkline Beecham merger. It remained, therefore, something of a local product. But not really fitting in with the business of the pharmaceutical super giant, it got sold on about two years ago. From that moment the sign was in danger. Very recently Lucozade got handed on again to another faceless corporate. I honestly don’t know who, and couldn’t care less. But this proved the final blow for the cherished sign. But back to the old sign. It used to say “Aids Recovery” until the AIDS epidemic of the 1980s when the slogan was changed to “Replaces Lost Energy”. At some stage the original neon sign needed replacing: it was simply worn out. 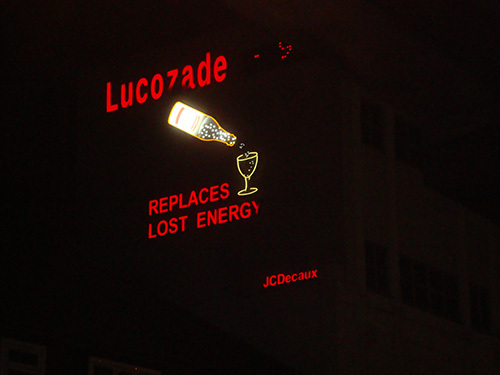 Unlike the current owners of Lucozade, someone recognised the heritage value of the sign and it was carefully stored in the industrial archive of nearby Gunnersbury Park Museum. It’s still there as far as I’m aware. The advertising site is run by the street advertising behemoth, JC Decaux, who ironically also have a local presence in Brentford. 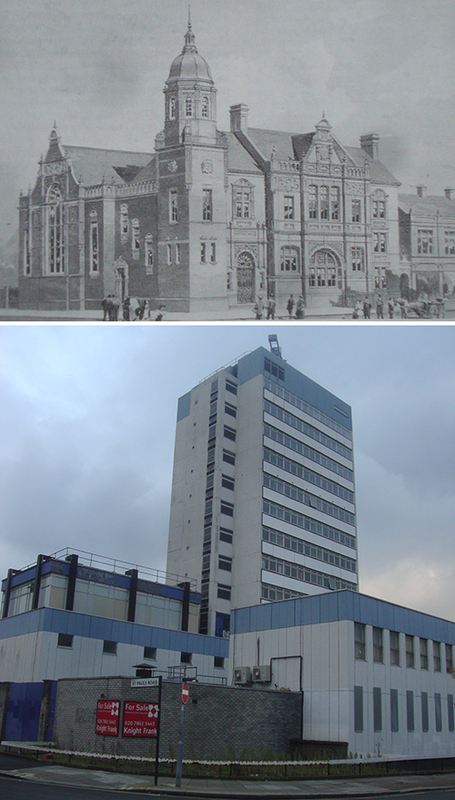 They occupy one of the art deco industrial buildings for which Brentford is rightly proud and famous. What an irony and a pity, then, that neither they nor the current Lucozade owners value local heritage. Realising there might be trouble in store for the old-style sign, I took this video clip in early 2014. At that time I wrote up the story of the sign in a little more detail, here.